Studied woodblock printing & illustration at university in Japan. 2013. 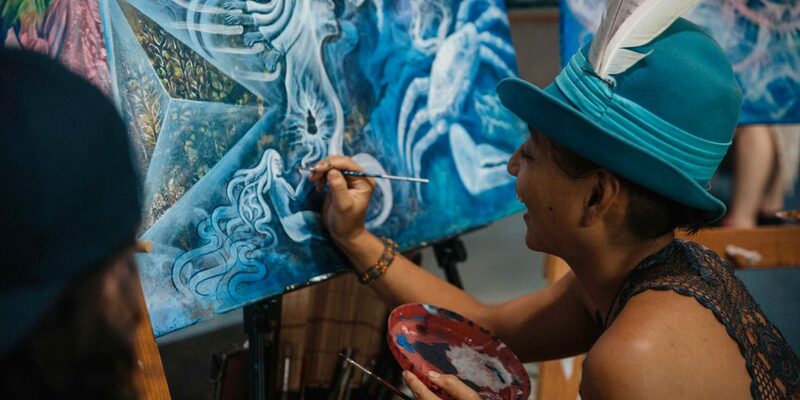 Yao discovered the Visionary art scene and felt that was what she would like to develop as her inner vision and painting technique. Since then painting has been her spiritual practice, and she has also developed an understanding of the principal of energy fields. Yao listens to nature for inspiration & guidance and then interprets this into her painting. “Art is my great teacher and also a beautiful tool to connect with my true self. Through painting I’m connecting with my guide. This is my intention when I paint. I’m awakened to the experience about the power of art. Art teaches me and guides me with joy! That is the reason why I’m painting. Yao likes to share this light by downloading her visions onto the canvas. Click on image to go to the Gallery.